Wait until you see all the beautiful frames and accessories included in these collections. They were created with real antique frames from the late 1800’s and early 1900’s. I spent months and months in antique stores all across my area and in online auctions to secure these for you. These are definitely a lost art since you simply don’t see frames made this way today with all the delicious details included on them. 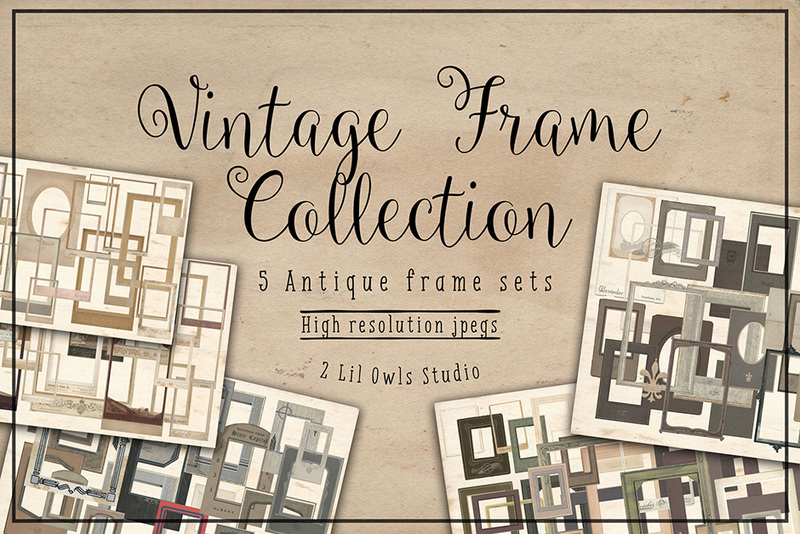 All frames are various sizes from to 13×19 high-res .PNG files, 300 PPI. Software compatibility: .PNG files will work with most graphic softwares. 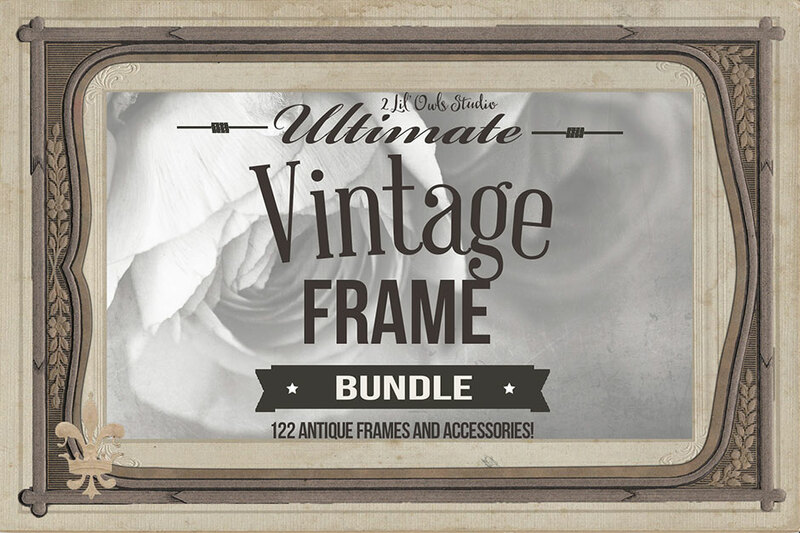 All frames are various sizes from to 13x19 high-res PNG files, 300 PPI. File size is approx 513.5MB (2.88GB unzipped), offered as a single download. I bought these frames thinking that they were a minimum of 13×19. Am I missing something here? Many of the frames are less than 3 inches at 300 dpi. I’m so sorry for any confusion caused by your new vintage frames! I’m sorry to say, but I was disappointed. The multitude of items was matt images, not frames. Unfortunately, the majority of the frames that existed, in my opinion, were very artificial looking. Thank you so much for taking the time to leave us your feedback and we’re so sorry to hear that you are disappointed! I will definitely pass your feedback onto the designer and our Product Team for future reference, as we’d hate for you to be disappointed in any way. I’ve also popped you over an email to go through this in more detail with you.